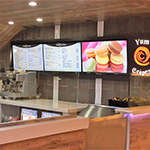 Whether you have the entire design already created, or just an idea of what you are looking for, we have the tools, resources, and know-how to create a one-of-a-kind, show-stopping sign that is sure to impress. 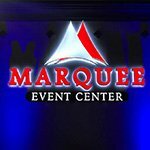 We look forward to becoming your long-term signage partner! Our custom Charlotte sign experts will discuss your ideas during your free, one-on-one consultation. 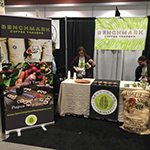 They will get a feel for what you want to accomplish, make product suggestions, and begin to form a mental image of what your final product will be like. 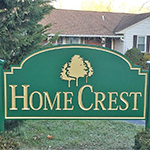 From there, they will meet with our designer to create a “mock-up”, showing exactly what you can expect your custom sign to look like. You will then have the option to make any edits, adjustments, modifications, or changes to the design before it goes to production for fabrication. Our designers love the challenge that custom signs present, and it is one of the most fulfilling parts of our job. Taking your creative ideas and turning them into functional works of art that look amazing and promote your business or organization is a source of pride for us. 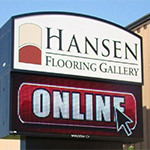 Make a big impression with a custom storefront sign or monument sign! 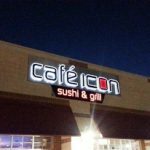 Whether you are looking for a custom neon, lighted sign, a rustic wood sign, or futuristic metal sign, we can manufacture an attractive, eye-catching sign that is perfect for you. We also specialize in custom boulder monument signs. Our custom boulder signs begin with the creation of your custom boulder, formed from sand in the exact size and shape that you need. 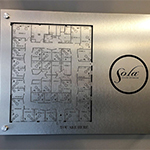 Using proprietary methods, we are able to etch your logo, company name, and other images or text directly into the stone for a unique sign built to last. From consultation through installation, we handle everything, every step of the way. 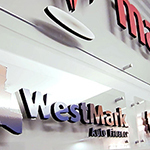 Our focus is on providing you with creative solutions to your custom signage needs. Our expertise, experience, and drive allow us to get the job done correctly, at the right price, and on-time. Signs ID delivers on commitments, on-time, and on budget, every time. Put our custom sign experts to the test with your unique custom signage concept! Call Signs ID at (980) 949-0797 for a Free Consultation with a Custom Signs Specialist!